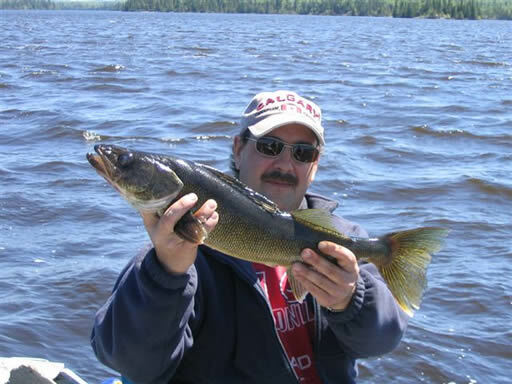 Fly-In fishing for Walleye, Northern Pike, Brook Trout and Whitefish. 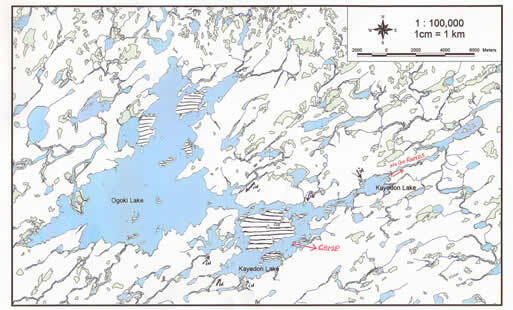 Kayedon Lake is located on the world famous Ogoki River System and is directly attached to Ogoki Lake. 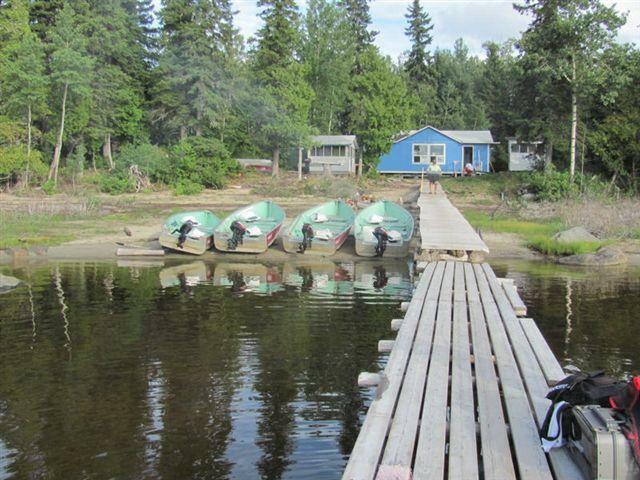 This provides guests with basically endless fishing and hunting opportunities. 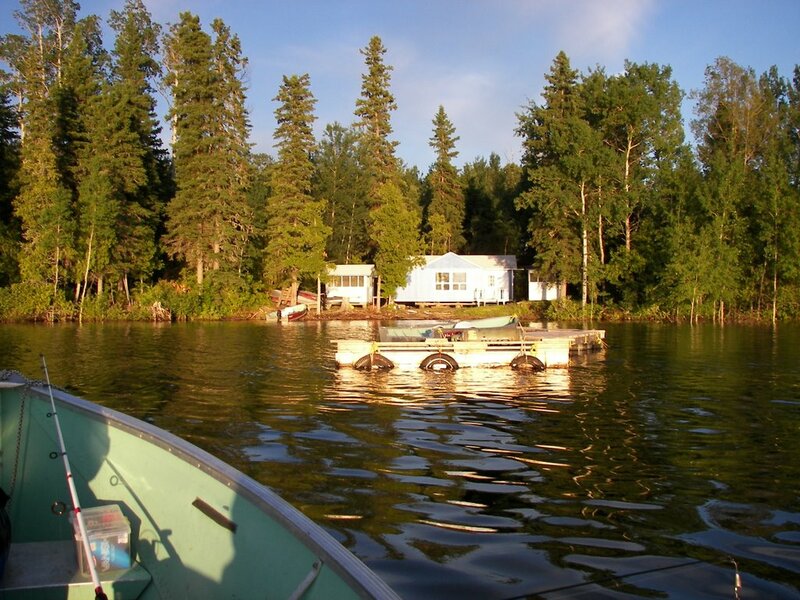 With many miles of shoreline and varying structure your trophy of a lifetime is waiting for you. 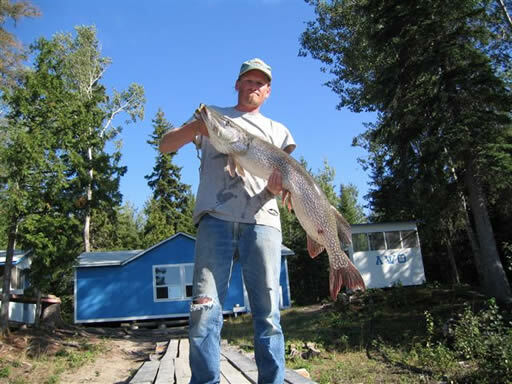 Take the short ride out to the big water of Ogoki Lake for Walleye or Northern Pike, or head down the river to the rapids to try your hand at Speckled Trout. 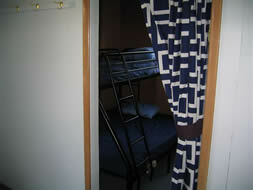 The 10 person housekeeping cabin is fully equipped for your stay. 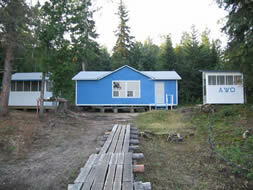 There are propane lights, stove and refrigerator; water pump, hot showers, a wood-burning stove, comfortable sleeping bunks with mattresses, tables, chairs and plenty of cooking and eating utensils. 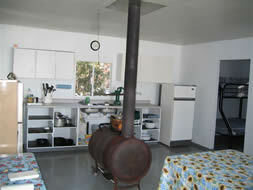 A full size BBQ and outdoor fish cooker are also provided. 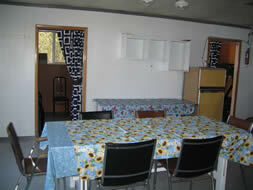 The camp has a screened gazebo and a screened fish cleaning stations for your comfort and convenience.